The Falcons have signed free agent linebacker A.J. Hawk to help fill a void at the position after losing Sean Weatherspoon for the season, Vaughn McClure of ESPN.com reports. The 32-year-old Hawk, a veteran of 10 NFL seasons, was released by Cincinnati on April 26, saving the Bengals $1.4 million against the salary cap. He played just one season for the Bengals, recording 24 tackles and a sack in 15 games in 2015. 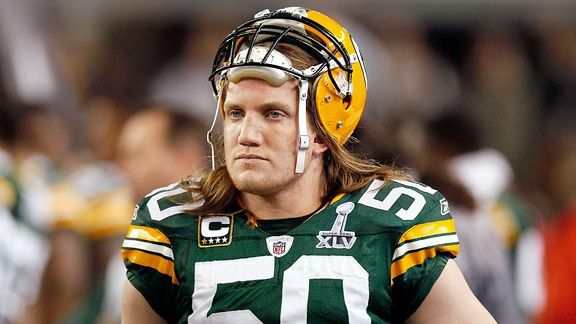 Prior to that, the former Ohio State standout spent nine seasons with the Green Bay Packers after being the fifth overall selection in the 2006 NFL draft. He left as the Packers’ all-time leader with 1,118 tackles and was selected to the Pro Bowl in 2010.